AlTAKAMUL NATIONAL AGRICULTURAL COMPANY consider one of the main pioneers of veterinary companies in the local market where we aim to cover all regions of the Kingdom by the quality of our products and the experience of our representatives beside our competitive prices and the perfect services provided by us. This is due to the variety of our agencies between Arabian, European and Argentinean ..
We are honored that we have the exclusive agency of (Vapco) the Jordanian plant and company which is one of the most prestigious Arab companies in the Middle East, characterized by the diversity of its products to cover all the needs of the market in various forms,,, Also, we are the representatives and the sole agent of the Argentinian company ( Bedson ) with a unique products of its kind (Fosbac & Bedgen 40 conc ), where the poultry industry have been associated with those names into the Saudi market over the past ten years. - and has recently been agreed with the Egyptian Pharmaceutical company – the innovators where they have more than 145 registered products, and soon will be in KSA. We defined by the diversity of our products with high quality and also characterized by our expert representatives in various regions of the Kingdom, where they are committed to deliver our orders on time through referred containers- and get to the heart of the desert where remote farms and we are keen to deliver orders through our veterinarians to provide the technical support to the respected farm managers and Veterinary pharmacies within the boundaries of cities and provinces . We also keep the delivery and receipt of the goods under the supervision of a pharmacist technician specialist, responsible for the implementation of quality standards in our warehouses. The veterinary department of the company is the integration interface for the company where it's reflect the market's respect and transparency of the sales and marketing policies and respecting of the competitors besides providing the highest quality services and the most accurate dates. 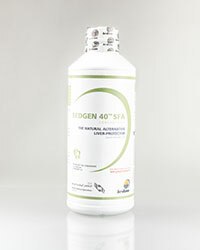 "BEDGEN 40® CONCENTRATE The Natural Alternative"
*Equivalent to not less than 41 ppm of chlorogenic acid. Liquid - Dark brown liquid with characteristic odor. 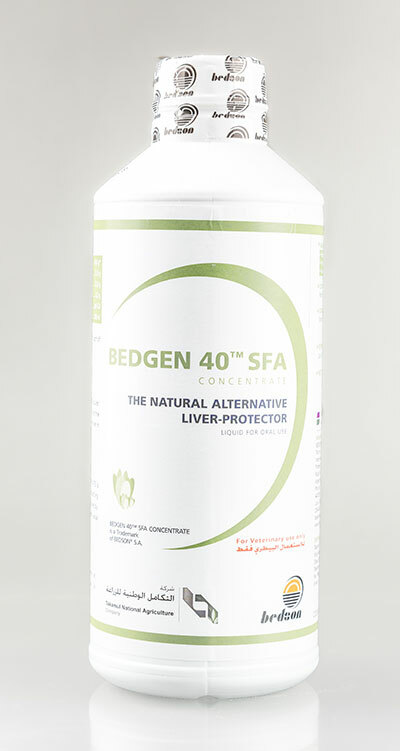 - BEDGEN 40SFA CONCENTRATE is indicated to improve poultry productivity under challenging conditions caused by deficient digestibility, environmental, social or infectious stress situations . 1- Liver Support , Hepatocyte regeneration. 2- Anti-mycotoxins. All types and specially aflatoxins & ochratoxins. 3- detoxifying agent against all of toxins. 4- increase bile production level so, increase emulsification of fats and increase the rate of digestion. 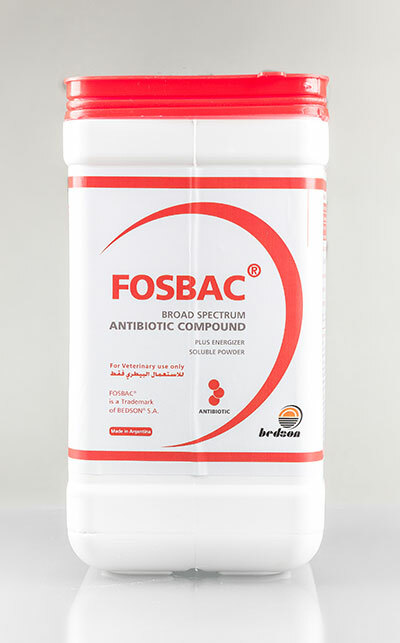 "Fosbac The first ANTIBIOTIC starts where the other failed "
Fosbac® is appropriate for use in: Poultry for the treatment of: E-Colibacillosis; Chronic respiratory disease; Salmonellosis ; Coryza; Typhosis; Fowl cholera; Listeriosis; Staphylococcal infections and diseases caused by microorganisms sensitive to fosfomycin. 1 kg WSP , Administer orally by mixing in drinking water or feed. The recommended dose rate is 160 mg of Fosbac® per kilogram of body weight for 3 to 5 days, as instructed by attending DVM. 1-	Fosbac® has No resistance. 2-	Fosbac® is not inactivated by gastric acids, which is why 97% of it is absorbed through gastrointestinal mucosa, easily diffuse in blood str. 3-	Fosbac® small size allows for its quick and total elimination through the kidneys within 72 hours of stopping its administration. 4-	Fosbac® has no toxicity (LD50 = 5-10g/kg live body weight). 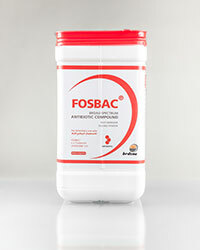 5-	Fosbac® is bactericidal acts by inhibiting the synthesis of the cell wall. "Joosten Milk Extra Complete milk replacer "
Joosten Milk Extra is recommended to be used the first weeks of life for calves, for a healthy start and to increase weight gain. Dairy products, Vegetable fats, Products and by-products of oleaginous seeds, Products and by-products of cereal seeds, Synthetic Amino Acids, Minerals & Vitamins, Anti caking agents, Preservatives, Flavors. Storage: in a clean, cool, dry place. Ideal storage temperature is not more than25 degrees Celsius. 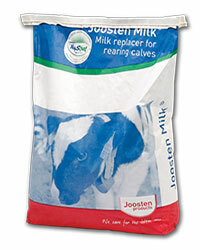 "Joosten Milk Extra Excellent milk replacer for rearing calves "
Joosten Milk Premium is recommended to be used the first weeks of life for calves, for a healthy start and to increase weight gain. Dairy products, Vegetable fats, Products and by-products of oleaginous seeds, Products and by-products of cereal seeds, Synthetic Amino Acids, Minerals & Vitamins, Anti caking agents, Preservatives, Flavours. Warm 2/3 of the total amount of water required to a temperature of 55-60°C. Add the milkreplacer with a mixing device of 1 kg of milk replacer. Then use a mixing device and stir until the powder is entirely dissolved. Then add the remaining 1/3 of water cold. The result will be a lump-free mixture with a temperature of 40°C. Supply the milkreplacer without any delay after preparation.